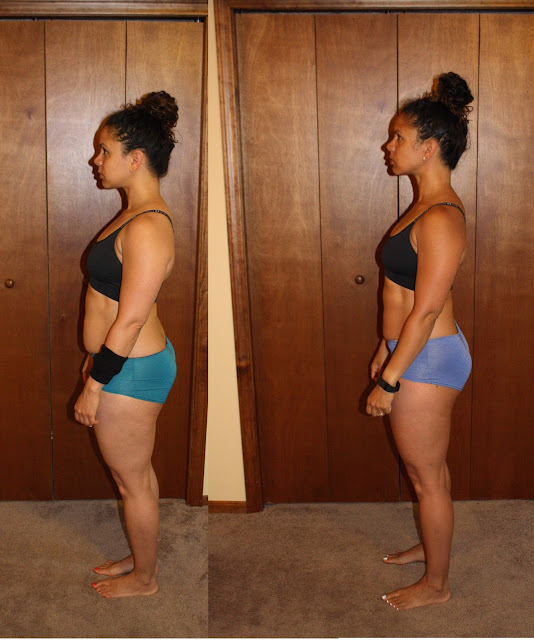 Lauren Brooks Fitness: REAL Results from Kettlebell Incinerator - 6lbs of fat lost in less than 4 weeks! REAL Results from Kettlebell Incinerator - 6lbs of fat lost in less than 4 weeks! I'd like to share an email with you that I received out of the blue. I know many people would like to feel comfortable in their own skin. It's ok to have goals for yourself. After all, you only get one body. I've always been a huge advocate for strength and mobility, but let's face it, people want to feel good in their own skin. Training with Kettlebell Incinerator - the super quick workouts gave Rhonda these results. She's super busy full time working mom and she was able to squeeze this in, in less than 4 weeks. Here's her email and how she did it! Amazing. Just amazing. I waited for this cutting program since I finished BeSlam2 and it was even better than I imagined. As you know, I have been on a journey to get comfortable in my skin again. I keep slipping in the areas that matter most, namely nutrition and generally from stress. I have also had some periods of time that I got so frustrated from lack of progress while 'behaving' that I threw away weeks/months of work by over indulging for too many days/weeks. This is what happened to me this past spring. I got to an ok place and plateaued for almost 2 months. This led to a backward slide costing about 10lbs. I lost 6 lbs, but definelty look like it was a lot more. I am so angry I didn't take measurements! Also, I think my posture even improved. I took 2 days 'off' and am using this week to visit some of my favorite workouts from your videos. Then I plan to follow your Lean Body program in the Playground. I think that is meant for someone with my goals? I am going to allow some complex carbs back in, and will only drink sparingly on weekends, if at all- it's summer and BBQ's are aplenty! I figured that since Kettlebell Incinerator is a new DVD and program that you may want some real world results from your average followers to see how big of a difference you make to us. Thank you!